Become the eternally beautiful Barbie Dreamtopia, straight off the catwalk with this designer dress. Style your hair, add some lip gloss and you will become her! 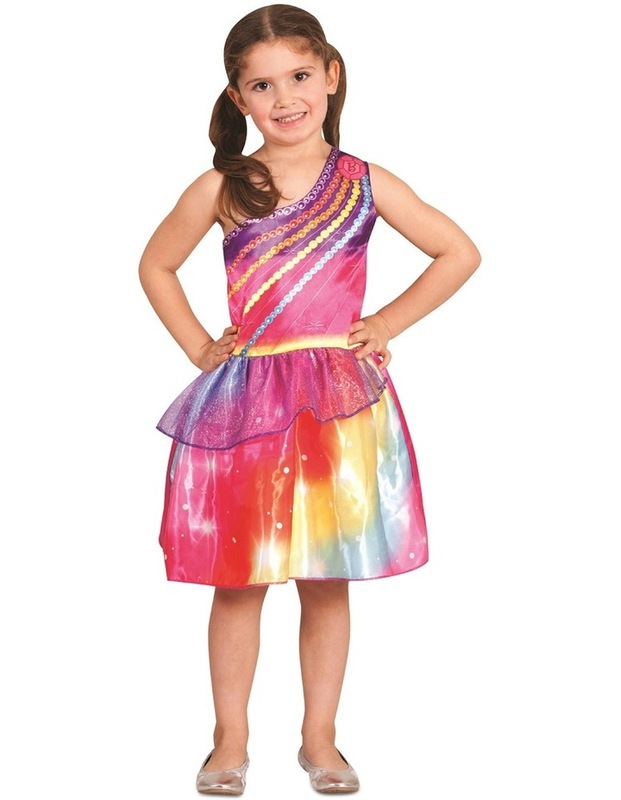 Includes: Off the shoulder colourful costume with organza peplum embellishment.